The author of The Heart of Darkness, Nostromo, and Lord Jim was born and grew up in partitioned Poland. Yet his literary work is ostensibly devoid of almost any traces of his background. So where should one look for Conrad’s Polishness? Today Joseph Conrad comes across as one of the most important writers of the 20th century, a classic of British modernist literature and the English language. Yet only a few people remember that he was born and raised in Poland, and considered himself Polish throughout his sea career and later during his years in exile. Interested in the Polish national cause, he engaged in political activities. His influence on Polish culture goes far beyond his literary appeal, reverberating particularly strongly during the Warsaw Rising and throughout the communist regime. Just how much of Conrad, as we know him, is actually Polish? And how 'Conradian' are Poles today? 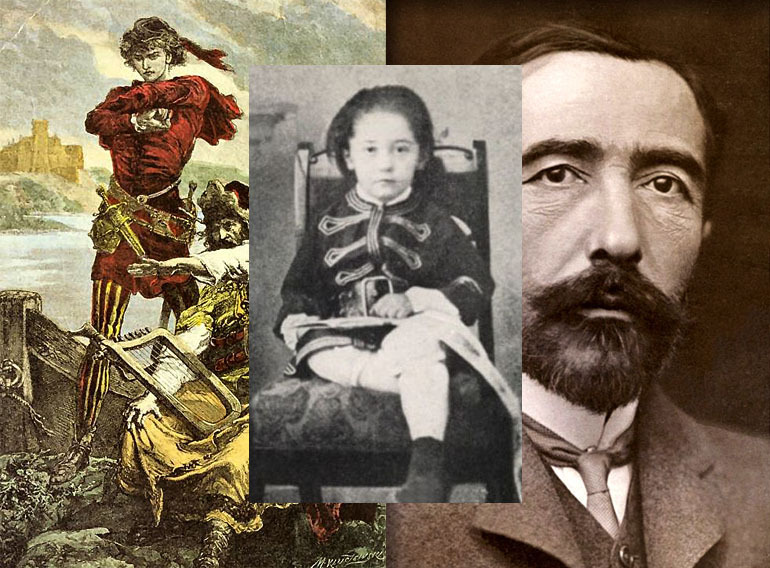 The future classic of British literature was born as Józef Teodor Konrad Korzeniowski in 1857 in what is today Ukraine, in the area which, since the so-called partitions of Poland in the late 18th century, had been part of the Russian Empire. This political status quo was something Conrad’s parents, both harking from Polish families with patriotic traditions, could hardly come to terms with. As ardent Polish patriots, they both engaged in underground activities aimed at reviving the Polish-Lithuanian Commonwealth in its borders from before the partitions. This strong patriotism is actually preserved in the name they chose for their only son. The name Konrad, which was how the family referred to the boy, was actually a political reference to the two preeminent works of Polish Romantic literature, namely Adam Mickiewicz’s Konrad Wallenrod and his Forefather’s Eve. In the latter, the protagonist undergoes an existential transformation from Gustaw into Konrad, a man dedicated to the cause of his nation and that of humanity. It’s surely no coincidence that when in 1895 Józef Korzeniowski debuted as an English writer, he chose his Polish first name Conrad as his pen-name. Among those earliest memories of Conrad’s were also scenes of strange gatherings (no doubt meetings of the resistance movement) at his parents’ Warsaw apartment, as well as the image of his mother Ewa dressed in black dress of national mourning, a clear manifestation of the patriotic protest, forbidden by the Tsarist authorities in early 1860s Poland. Only a couple months after the arrest, Apollo along with his wife Ewa and their son were deported to Northern Russia. The deportation meant the family was far away from Poland when the January Uprising of 1863 erupted. It also proved devastating for Ewa, who died from tuberculosis when Konrad was just eight years old. After her death, Apollo continued to take care of his beloved son, homeschooling him. In a letter to a friend, Apollo stated that his ‘chief concern, if not the only one, is to make little Conrad neither a Democrat, nor an aristocrat, a demagogue, nor a republican, neither a monarchist – nor a servant or lackey of any of these – but a good Pole.’ Although Conrad’s father died when the boy was 12 years old, he remained a key influence in the life of his son (see point 9). 3. Did Conrad speak English? Despite leaving Poland at the age of sixteen (1874), Conrad maintained contact with the Polish language. During his many years spent at sea, his main link with Poland was the correspondence with his uncle Tadeusz Bobrowski, his legal guardian and mentor after the death of his parents. According to his Polish friends and acquaintances, Conrad’s spoken Polish remained clear and accent-free, unlike his English, which was thick with a foreign accent even after many decades spent in England. It was reported, that whenever forced to speak on topics of morality or philosophy Conrad would naturally switch to French which was the language in which he felt most comfortable. My father read Pan Tadeusz to me and made me read it out loud on many occasions. But I preferred Konrad Wallenrod and Grażyna. Critics – Polish critics in particular – have pointed to the links between Conrad’s reading Polish Romantic poetry and his later English writing. Parallels have been drawn between the plot of Mickiewicz’s ballad Czaty and Conrad’s short story Karain, and verbal echoes from Konrad Wallenrod are allegedly present in Conrad’s debut novel Almayer’s Folly. Also, his narrative technique is sometimes seen as influenced by the Polish epic literary tradition of gawęda. Curiously, despite of all his Polish background, Conrad’s literary output is ostensibly devoid of almost any Polish motifs and topics. While this can ultimately be connected with Conrad’s need to forge his literary voice as that of a British writer, it is also quite curious, if not paradoxical, just as is the fact of a writer from Poland became the classic of maritime literature. As it turns out, throughout his long and varied career, Conrad openly addressed Polish topics only twice. Yet both of these examples are telling in regard to how Conrad saw the key issues of the Polish national experience. In Amy Foster, Conrad tells the story of Yanko Gooral, a Polish immigrant on his way to America who then becomes the only survivor of a shipwreck off the coast of England. After he is initially abused and imprisoned by the Britons, he falls in love with a local woman whom he eventually marries. But, since this is not a happy love story, their relationship is marked by conflict, part of which is caused by Yanko’s unwillingness to surrender his Catholicism and language (which he also plans to bequeath to his son). In the final scenes of the story, Yanko’s terrified wife leaves her husband who, now delirious with illness, mumbles incomprehensible words – a perfect case of estrangement. As Thomas Maclean claims, Conrad’s story is a nightmare of exile and perhaps also a critique of the British response to refugees. But it can also be seen as a metaphor of Conrad’s own predicament as a foreigner in a strange country. That country which demands to be loved as no other country has ever been loved, with the mournful affection one bears to the unforgotten dead and with the unextinguishable fire of a hopeless passion which only a living, breathing, warm ideal can kindle in our breasts for our pride, for our weariness, for our exultation, for our undoing. 6. Is Conrad's idea of honour 'Polish'? The lack of overtly Polish tropes in the work of this Polish-born writer made some critics dig deeper in search of Polish motifs buried in his work. Some have pointed out the peculiar character of the most fundamental ethical issues at the core of Conrad’s worldview, like honour, fidelity and persistence in the face of adversity. Conrad’s idea of honour, in particular, was often seen in connection to the chivalric, feudal in its origin, the concept of honour present in the ethos of the Polish nobility, an elite part of Polish society with which Conrad identified. This problem was – at least to some extent – also noted by Conrad’s non-Polish acquaintances already in the early 20th century. Both Ford Madox Ford and Bertrand Russell considered ‘Polishness’ a key to understanding his thinking and his attitude towards life. English critics [...] whenever they discuss my work, always add that there’s something incomprehensible, unfathomable and elusive about it. Only you can capture this elusiveness, fathom the unfathomable. It’s Polishness. 7. Conrad’s National Betrayal, or is Patna Poland? Conrad’s Polish links have made him a writer particularly interesting to Polish readers. A novel which has perhaps garnered the most attention in this respect was Lord Jim. In fact, many Polish critics saw the overall subject of the novel – its obsession with betrayal and desertion and almost fanatical insistence on duty and fidelity – in the light of Conrad’s Polish background, in particular as a reflection of a debate (the so-called Emigration of Talents debate), which swept across the Polish literary scene at the turn of the century. The most vital voice in the debate came from a writer Eliza Orzeszkowa, who criticised Conrad on the grounds of his alleged ‘abandonment of the country’ (Orzeszkowa wrongly considered Conrad a post-January Uprising emigrant), which she saw as contributing to the lethal draining of the nation of talent and resources. Conrad was undoubtedly aware of the discussion – and the writing of Lord Jim seems to coincide with that dispute. As a result many Polish critics have subsequently seen Lord Jim as a perhaps subconscious response to these accusations. In the light of the Polish reading of the novel, the sinking ship which the protagonist of the novel untimely abandons – and for which he later feels remorse which he feels compelled to expatiate – becomes an awkward allegory of Conrad (supposedly) abandoning Poland in its time of need. Even the name of the ship, Patna, looks from a distance like the word Patria, the word a synonym for which Conrad had struggled to find in the English language. But while this allegorical reading suggests that Conrad jumped ship (his homeland) and later was compensating for this by proving his worth in an alien setting as a writer, it is perhaps more telling of how a Polish audience reads Conrad: much in the fashion of Polish Aesopian speech, they saw in his writings things nobody else could see. 8. ...and how about ‘home’? For a Polish expatriate, his home country, his ojczyzna, his patria (English does not even possess the word for this concept; in Polish we do not have the exact equivalent of ‘home’) is the locus of his obligations and of his ethical ideals. In the case of an Englishman for whom living and working overseas did not present any moral problems, Jim’s obsessive insistence on the breaking all ties (even with his father), the whole psychological tension connected with the issue of a possible return, the very elevation of ‘home’ to to the status of a quasi-mystical supreme moral authority, would seem to me excessive and contrived. This assertion finds partial corroboration in the words of Conrad himself. In the Author’s Note for Lord Jim, he implies that the essential subject of his novel, ‘the acute consciousness of lost honour,’ should be perfectly understandable at least to the ‘Latin temperament’. For Apollo their only homeland was Poland, their enemy – partitioning powers. For Conrad – and what a leap it is – his homeland was the whole world, his greatest enemy – fate. These words by can serve as a peculiar confirmation of a somewhat psychoanalytical theory of influence. It shows how a problem of purely political nature (for Conrad’s father), acquired an ethical and human dimension in the son’s mind – writing in a different language, in different geographical and political latitudes. Calamity manifested itself as a total experience of being. 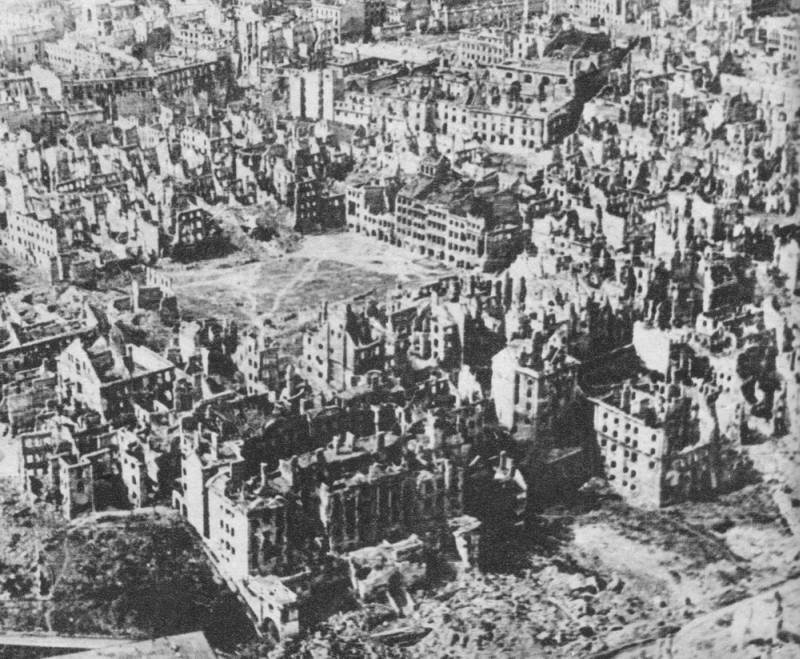 Conrad had made this Polish experience of disaster into a universal experience of mankind. Ceaseless and desperate alienation, as the scholars referred to it, was the main characteristic of Conrad’s writings but also of the fate of the nation from whence he came. Thus even a crime may become a moral agent by the lapse of time and the course of history. Progress leaves its dead by the way, for progress is only a great adventure as its leaders and chiefs know very well in their hearts. It is a march into an undiscovered country; and in such an enterprise the victims do not count. Conrad was avidly read in Poland and remained a huge influence on generations of Polish readers after his death in 1924. Immediately after World War II, his role and impact on generations of Poles became the topic of a large and hugely important discussion that swept through the Polish post-war press. The debate centred on issues of the appraisal of the Warsaw Uprising and the role of Conrad’s ethics of several ‘simple truths’ about the generation of Poles who took part in the uprising and died for its cause. The ethics based on the idea of the necessity of defending your honour even at the cost of losing one’s life and serving the obligations of fidelity in the face of hopelessness, derived from Conrad’s books, was a moral guideline for many of those who participated in the rising which cost so many their lives. Under the communist regime, Conrad was read but was also censored. His ‘anti-Russian’ books were not published until the 1980s. And yet, as Zdzisław Najder suggests, the tradition of the chivalrous ethos, so inherently present in Conrad, ‘spoke powerfully from the confines of the communist regime. It is after all this tradition that produced the Envoy of Mr Cogito by Zbigniew Herbert’, concludes Najder.